Are you writing an academic abstract, or are you interested in learning how to develop a comprehensive summary of your paper or larger work? This workshop will explore strategies for writing academic abstracts to help you successfully complete and publish papers, participate in conferences, and build your reputation as a researcher. 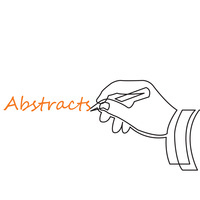 We will focus on the purpose and structure of abstracts, and participants will have an opportunity to apply the concepts to their own work. Participants are encouraged (but not required) to bring drafts of their work. The workshop is free and open to all disciplines. To attend in person, meet us in the Graduate Writing Center at Pacific's Sacramento campus (Student Center, 2nd floor). To attend remotely, use this WebEx meeting link. The WebEx meeting number/access code is 923424196, and the password is Writing. You may also attend by phone (toll-free): +1-855-797-9485.